Quarry surveying is a highly important service that helps firms understand consistently evaluate ongoing mining and quarrying activities. With quarry surveying, companies can protect their assets, map rock profiles, and even calculate the quantity of extracted materials. To do this, quarry surveyors must use a variety of sophisticated surveying technologies in order to provide the most accurate data possible. This technology has developed quickly over the past 50 years. Often, the surveying industry is seen as being at the forefront of technological advancement, especially with regards to data collection, storage, and manipulation. In this article, Landform Surveys looks at the history of quarry surveying, the challenges quarry surveyors have faced, and what the future of this industry could look like. What is the history of quarry surveying? Historically, quarry surveying carried with it a range of challenges. A combination of bulky instruments, manual data collection methods, and dangerous environments made quarry surveying a difficult – not to mention time-consuming – task for the surveyors of the past. When EDM (electronic distance measurement) was developed, it changed the surveying game. By transmitting an infrared beam and reflecting it through a prism, surveyors were able to obtain the direct measurement of a distance. It was then integrated into the classic theodolite, birthing the modern total station. Surveying equipment also became equipped with onboard logging capabilities for better data capture and storage. The introduction of the Global Positioning System for commercial use in the 1990s revolutionized surveying, as it eliminated the need for line of sight measurement. In the late 1990’s Remote measuring, using a laser to measure the distance to quarry faces, meant that quarries could be surveyed safely without the need for surveyors to approach step slopes and unsafe areas. How does quarry surveying work today? 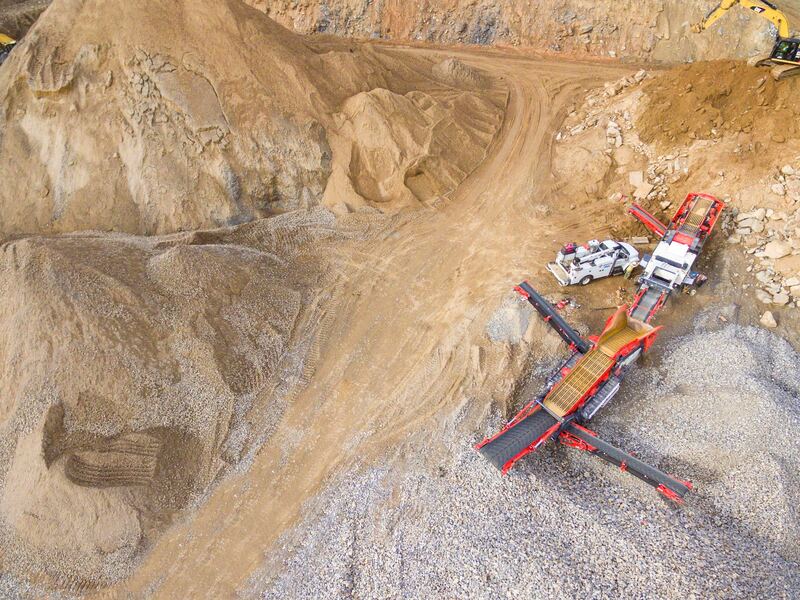 Today, quarry surveying is commonly undertaken by UAV (Unmanned Aerial Vehicle) aka. Drone technology. This eliminates several health and safety risks, and also make the quarry surveying process far more efficient. These days, point cloud data for a quarry survey can be collected within a day. It’s then used to generate mind-blowingly accurate 3D models of the quarry site, which can be overlayed with contour data to provide a fully featured map. Landform Surveys uses top-range UAV surveying technology and years of expertise to provide an end-to-end quarry surveying service. Find out more here, or get in touch. We look forward to working with you.